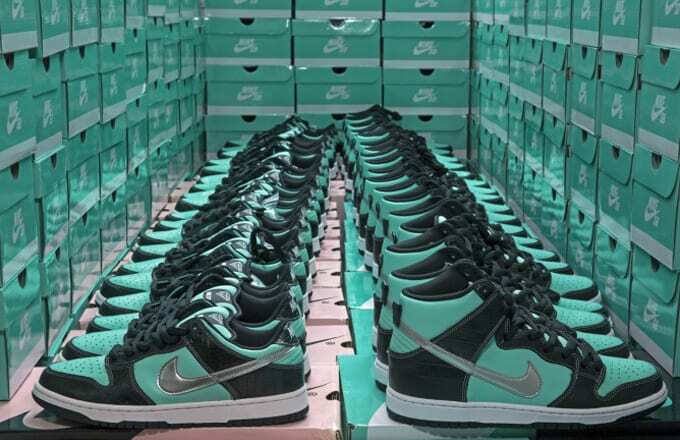 In 2005, Diamond Supply Co. shook up the sneaker landscape by dropping the "Tiffany" Nike SB Dunk Lows. To hear founder Nicky Diamonds tell it, the collaboration was precisely what allowed his brand to break away from the droves of skateboard companies in the 2000s and establish its own identity. "I think that the Diamond SB was a major turning point for Diamond. I will always think of it as one of the main things that made people recognize as Diamond," Diamonds told Hypebeast. "It is amazing that we linked up with Nike because without that collaboration, we probably would have never really broken away from the stigma of just being another skate brand. Nike x Diamond Supply was the turning point when people became interested in what we were producing outside of skating." The rest is history, as Diamond Supply went on to become one of the most ubiquitous streetwear brands of the last decade. Later, in 2015, the brand would come full circle for the 10th anniversary of the Nike collaboration by linking up with Ronnie Fieg and Kith for a tri-branded, Tiffany-inspired ASICS collab. But according to Diamonds, that project almost never happened. "I didn&apos;t even really want to translate it to the Kith collab, but Ronnie did and he knew that it was going to blow because now consumers familiar with the brand expect that color scheme whenever news breaks of an upcoming collaboration," Diamonds said. Reminisce with the entire interview over at Hypebeast now.